The IPCC Special Report on Global Warming of 1.5°C has warned that current NDCs under the Paris Agreement are not enough to avoid drastic consequences that will impact communities around the world and in Africa specifically. To help nations rise to the challenge, the Global Covenant of Mayors for Climate & Energy, including its regional chapter, Covenant of Mayors: Sub-Saharan Africa (CoM SSA), is engaging the world’s cities, within which 68% of the global population will be living by 2050. This year’s Africa Climate Week, part of Regional Climate Weeks hosted annually by the UNFCCC in Africa, Latin America and the Caribbean and Asia-Pacific, served as an important stepping stone to inform the United Nation Secretary-General’s Climate Summit in New York this September. 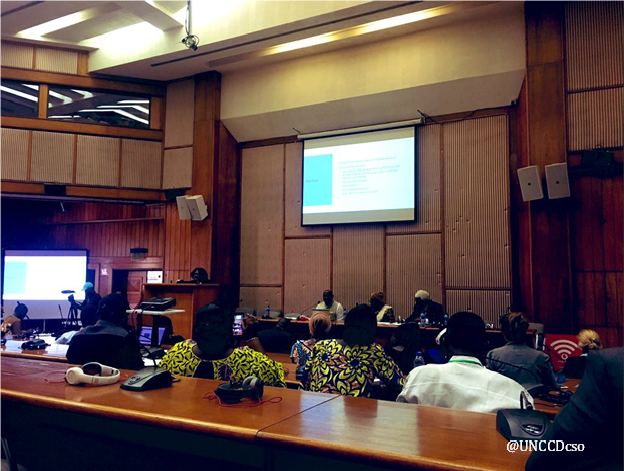 As part of the Africa Climate Week program, members and partners of the Global Taskforce supported the organization of three thematic sessions on Cities and Local Action, corresponding directly with the ‘Transformational Areas’ selected to guide September’s Summit. The Global Covenant of Mayors (GCoM) coordinated a session on technology under the framing of the Innovate4Cities initiative, UCLG-Africa coordinated a session on Policy: “Toward an Agreement between States and Local Authorities for the Territorialization of Nationally Determined Contributions (NDCs)” -- sharing experiences in increasing and inspiring the ambition of NDCs on the African continent -- and a session on finance: “Financing Cities and Local Action for NDC Implementation,” was organized by the African Development Bank (AfDB) with support from ICLEI-Africa. The key messages and outcomes of these sessions, highlighting both the ambition and needs of local and regional governments, will be collected and presented as a regional input by the UNFCCC to the Secretary General's team in preparation for September’s Summit. In the technology session: “Accelerating Research, Innovation & Technology for African Cities”, GCoM with support from CDP, ICLEI Africa, the International Renewable Energy Agency (IRENA), and Partnership on Sustainable, Low Carbon Transport (SLoCaT) as well as the community of global and local city networks brought together mayors, city practitioners, academics, and non-governmental organizations to discuss data and technology priorities – specific to collaboration, data access, renewable energy, and transportation – that are key and require support from national governments in order for cities and local governments to act on climate at the speed and scale necessary to support parties to meet their Paris Agreement commitments. 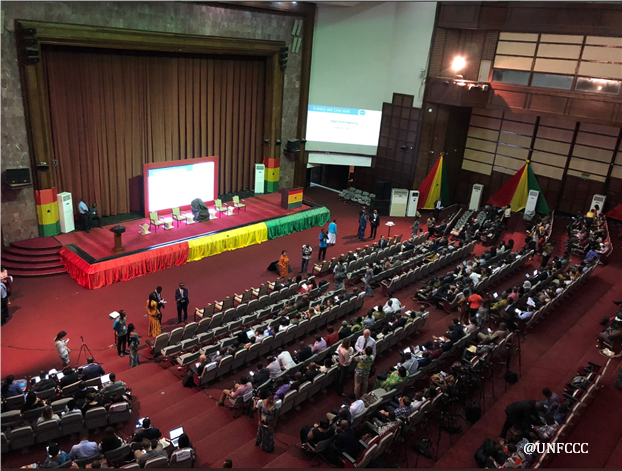 Throughout Africa Climate Week, GCoM and its alliance of partners highlighted and advocated for governments to support increased city ambition and implementation of existing ambitious strategies by establishing a platform for ongoing multilevel dialogue and engagement to advance collaboration around the NDCs/Paris Agreement, in particular, the inclusion of Locally Determined Contributions. 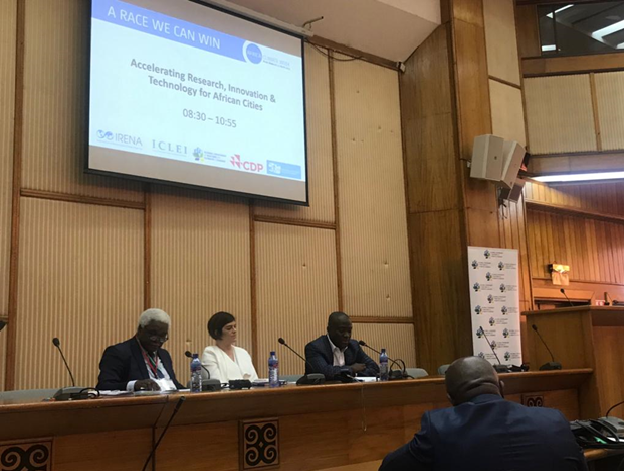 Echoing this was Manuel Araujo, Mayor of Quelimane, Mozambique and Vice-Chair of ICLEI Africa Regional Executive Committee when at the closing plenary, reflected on the perspective of local and regional governments in relation to the delivery of NDCs and raising their ambitions. Only with increased support from national governments including mobilizing technical assistance, increasing research and development investments towards established city priorities, implementing regulatory and enabling policy reforms related to finance and local authority and developing nationally held locally relevant datasets and/or downscaling climate science will help cities make better, more informed, science-based decisions and help nations to ultimately meet their important Paris Agreement commitments.